You've probably seen me mention specific products from Usborne Books throughout this website. 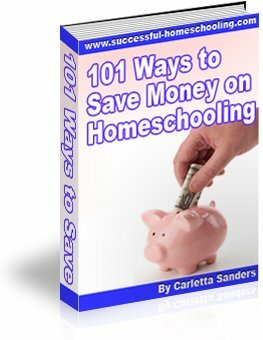 That's because I believe these books are the best resources on the market for homeschoolers and parents who want to supplement their children's education at home. I found out about Usborne when my oldest was a preschooler, and I quickly fell in love with the company's high quality, affordable products. Years later, I was invited to a home show by friends in my homeschool support group. I was awed by wide range of subjects and age ranges the books covered, and I quickly made a list of books I would use in years to come. Here's what I love (and what I don't love) about Usborne, along with my top product recommendations. Usborne's award-winning books are often recommended by by popular curriculum companies like Sonlight, Tapestry of Grace and The Well-Trained Mind. These accurate, informative books present information in a manner that appeals to both highly motivated and reluctant learners of all ages. I even enjoy reading the books! Here are my suggestions for preschoolers. In coming months, I'll share specific recommendations for math, reading, science, history, and art books, as well as books that are geared to specific interests and age levels. I'll also identify books that are used in specific homeschool programs and share ways you can purchase these books at a discount. flex (a cross between paperback and hardback). Because the books are affordable, I recommend purchasing books in hardback, library bound or flex binding when available. When you purchase hardback books, you purchase investments you can hand down to younger children. Your family will treasure these wonderful books for years to come. Here are some tips for saving money with Usborne. In coming weeks, I'll share information about purchasing internet specials, combined volumes, mini books and value packs. You can receive a lifelong 25% discount on books by becoming an Usborne consultant. Here's the story of how I earned $500 in free Usborne books during my first 12 weeks as a consultant. Usborne Internet-Linked books are my among my favorite tools for homeschooling. These books simplify planning and instruction by leading your children to additional learning resources online. When reading an internet-linked book, you can visit www.usborne-quicklinks.com, enter the title of the book and a page number, and find links to pre-approved, safe, internet resources about the information presented on a specific page in the book. Usborne even offers three 400 page encyclopedias in internet linked form. These encyclopedias are reference tools that will grow with your family. They are a "must" for every homeschool library. While I believe Usborne's nonfiction books are the best on the market, their fiction books would fit Charlotte Mason's definition of "twaddle". Unless you are looking for a retold classic that your younger children can enjoy while older siblings read the original version, I do not recommend purchasing Usborne fiction books. In addition, if you are a Christian who believes in creation science, I want you to be aware that some Usborne books contain information about evolution. Many creationists decide to continue enjoying these books and use the occasional reference to evolution to discuss their beliefs. After purchasing Usborne books for years, my husband encouraged me to become a consultant. The Usborne consultant opportunity has enabled me to build a wonderful library for my children and keep this website online. You can purchase Usborne books at any time through my website www.usborne-childrens-books.com. Browse by age or category, or use the search function at the top of the page to find a specific book.